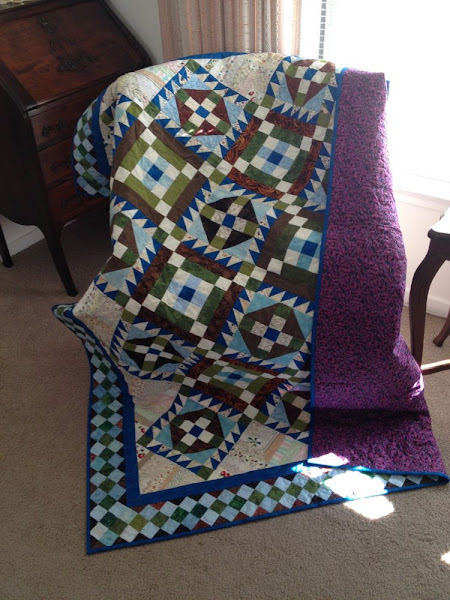 I love your version of this quilt. I think I need to make one for myself! Congratulations on your “blue” finish! Looks great Karen! Can’t believe how great your finish count is for the year! Congrats! I just showed this setting and color way to DH and he liked it much better than when I showed him the original pink color scheme. I haven’t made RRCB yet, but if he likes it….it’s now on the list!